What a great way to end an exciting tournament, 7 games in the Finals. Ken Hill wins Game 7 over John Smiley 1-0 (Frazier homer) in a game reminiscent of the 91 World Series. 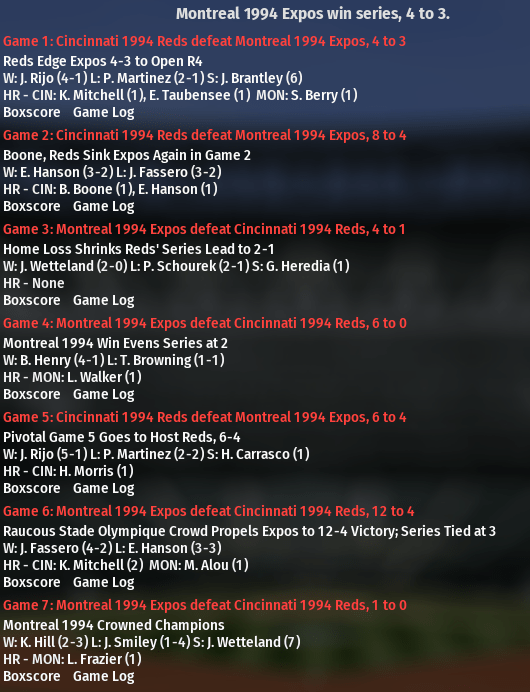 The Reds where able to beat Pedro Martinez twice but the Expos where able to take Games 6 and 7 for the Tournament Championship. Congrats Montreal.